Course Website: Official Website - Visit Oasis (Palmer)'s official website by clicking on the link provided. 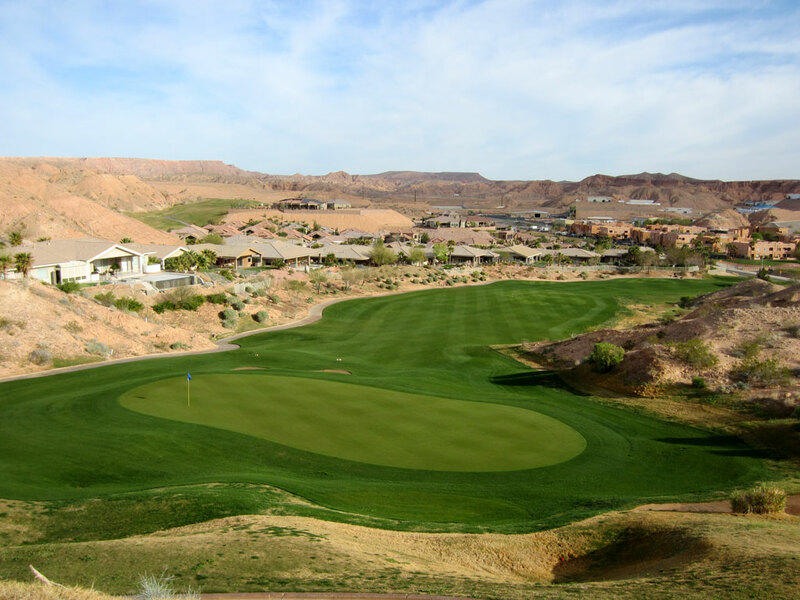 Accolades: Ranked 15th in Nevada on Golf Course Gurus' Best in State list. 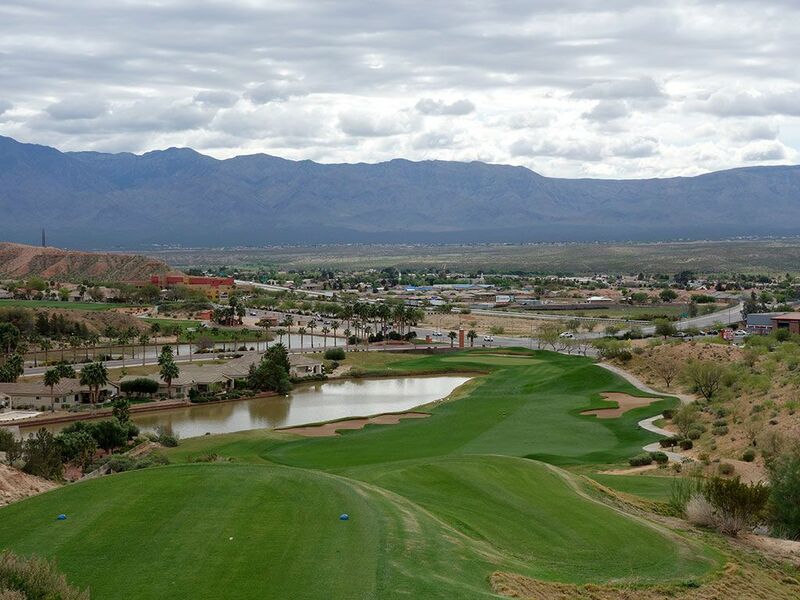 What to Expect: Prior to Wolf Creek being added to the Mesquite golf scene, Oasis was the destination course of the small Nevada town found just across the border of the northwest corner of Arizona. 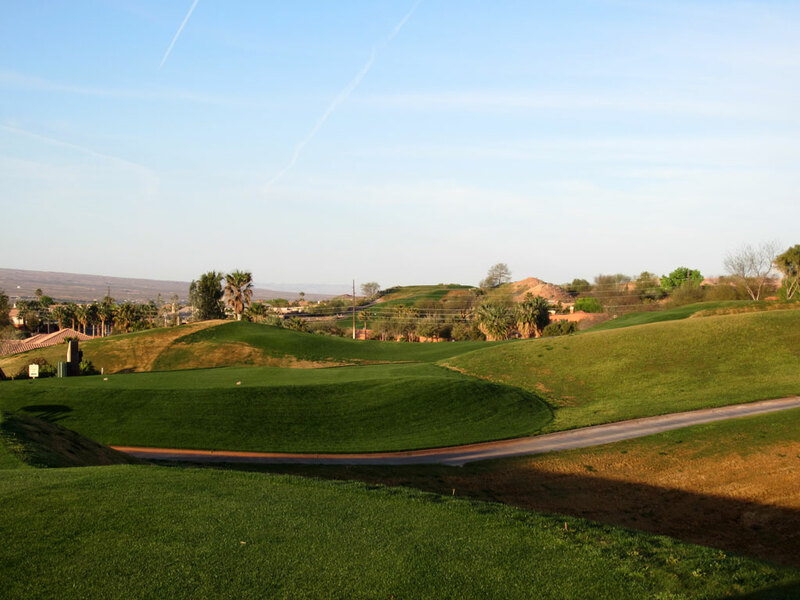 The track features numerous elevation changes throughout the routing which combines holes that run through residential development with holes that cut through the desert canyons and mesas. 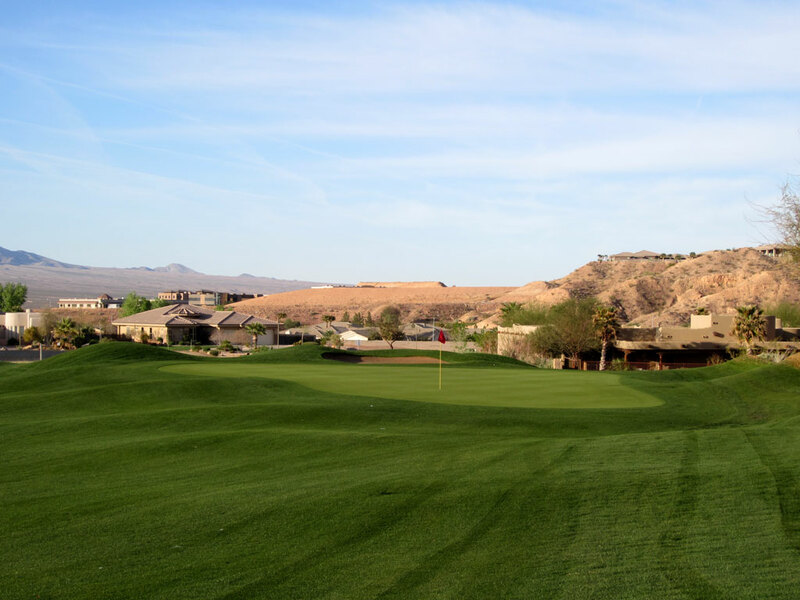 The course doesn't feature punishing length, but it does feature several exciting elevated tee shots, water features, and intriguing hole designs. You won't find anyone walking the course due to some of the extreme terrain but you will find excellent turf conditions from tee to green. 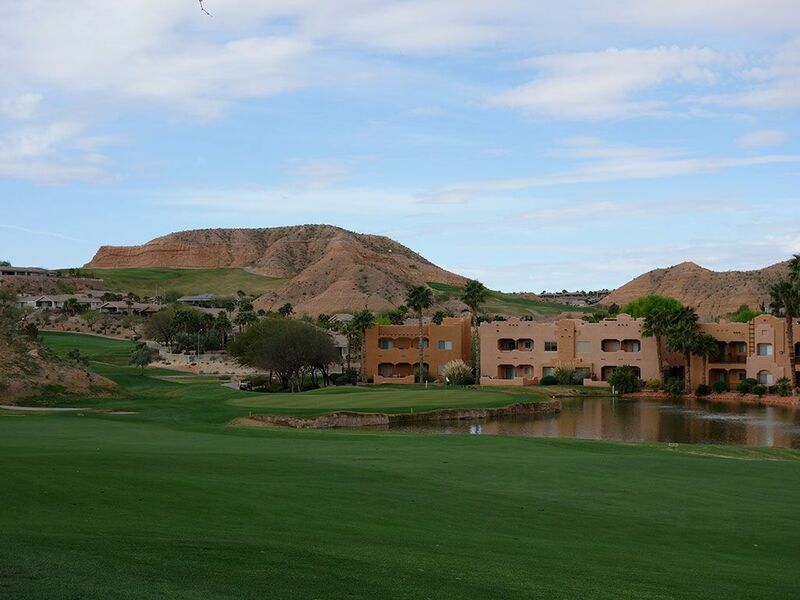 The course was originally a 27 hole facility before the resort decided to add another nine holes in 2005 and create two separate courses (Palmer and Canyons). 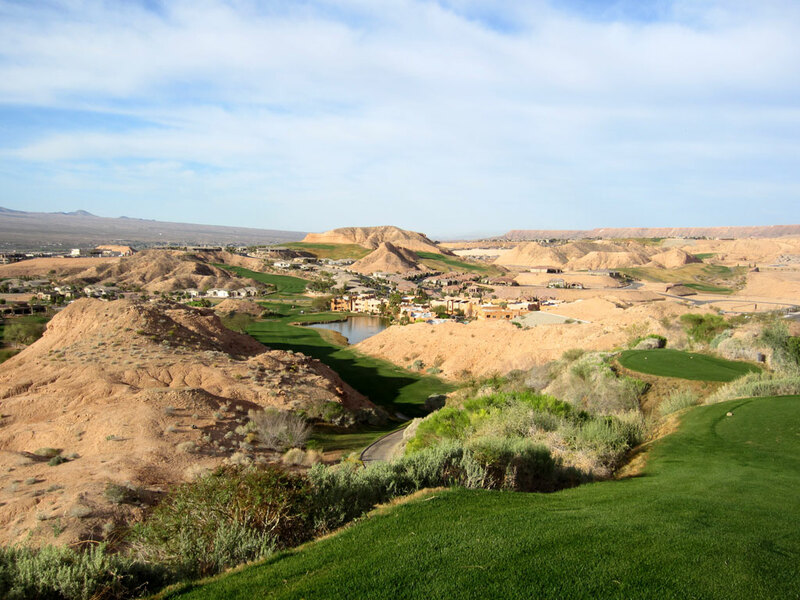 The Palmer is the better of the two tracks at Oasis and only falls short of Wolf Creek as Mesquite's best track. 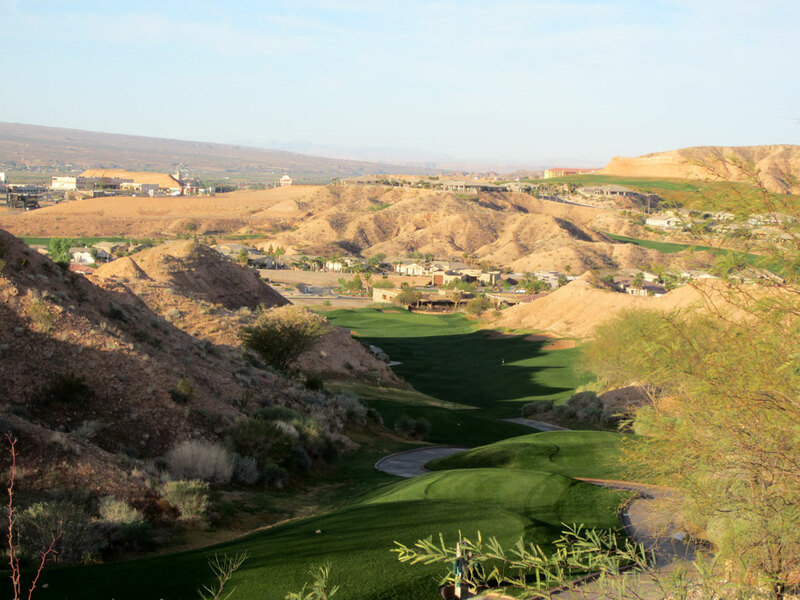 Signature Hole: 5th Hole – 534 Yard Par 5 – A stunning view and intimidating tee shot await on the par five 5th where players will experience a 100 foot descent from the tee to the fairway. 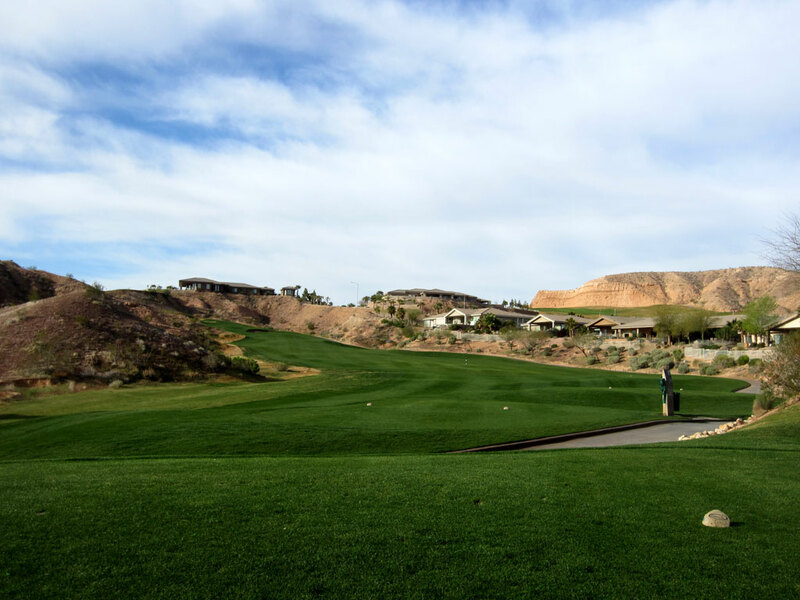 With the fairway carving through the arroyo below, players will have to thread their drive between the canyon walls while experiencing some of the longest hang time you'll ever see at a golf course. 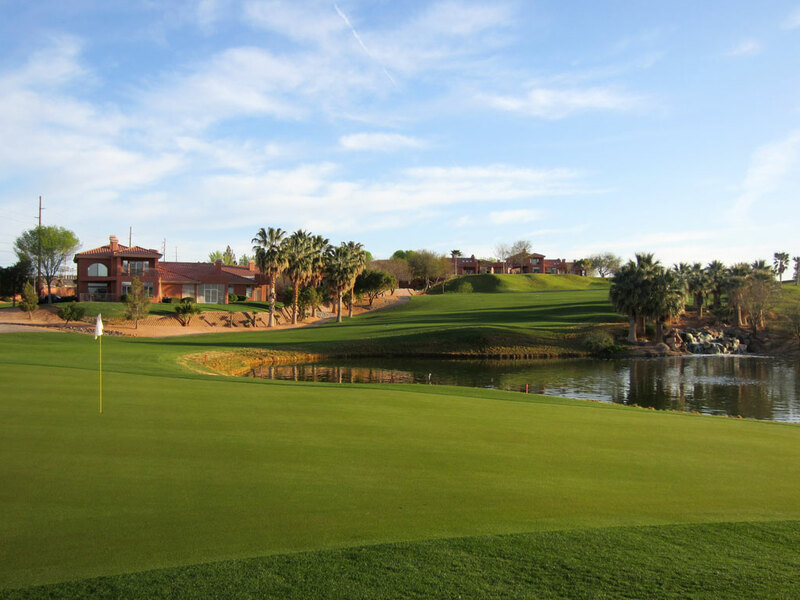 Players that successfully find the fairway will have a great chance of reaching this green in two and find why this hole is rated as the 17 handicap. 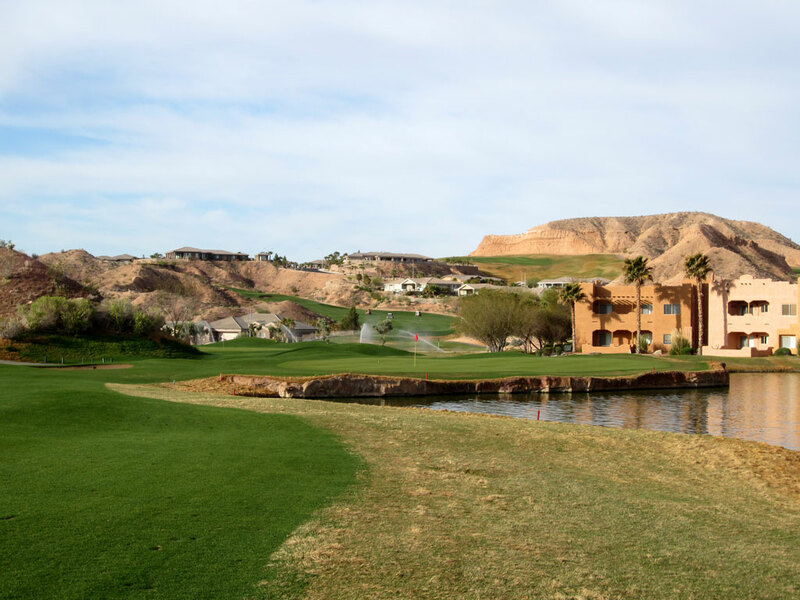 The 5th hole is your first experience at Oasis with Mesquite's impressive desert terrain and is certainly an impressive introduction. 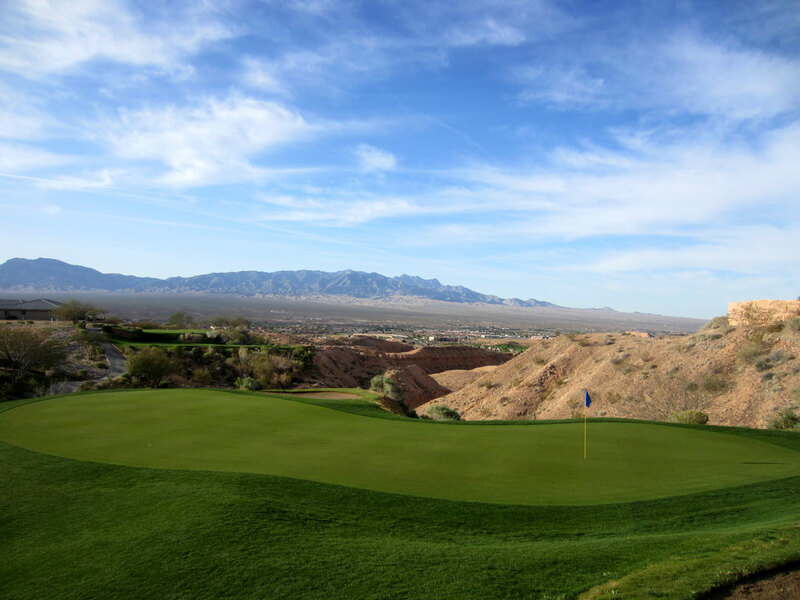 Best Par 3: 7th Hole – 157 Yards – The sporty 7th is a do or die hole over a desert ravine to a green protected by a trio of bunkers. The left side of the green is further away than the right side although they may appear to be equal, so if the pin is left make sure you take enough club to clear the junk on your way home. The green slopes right so if you end up with a putt going that direction make sure to take some off so that your putt doesn't scoot off the green. 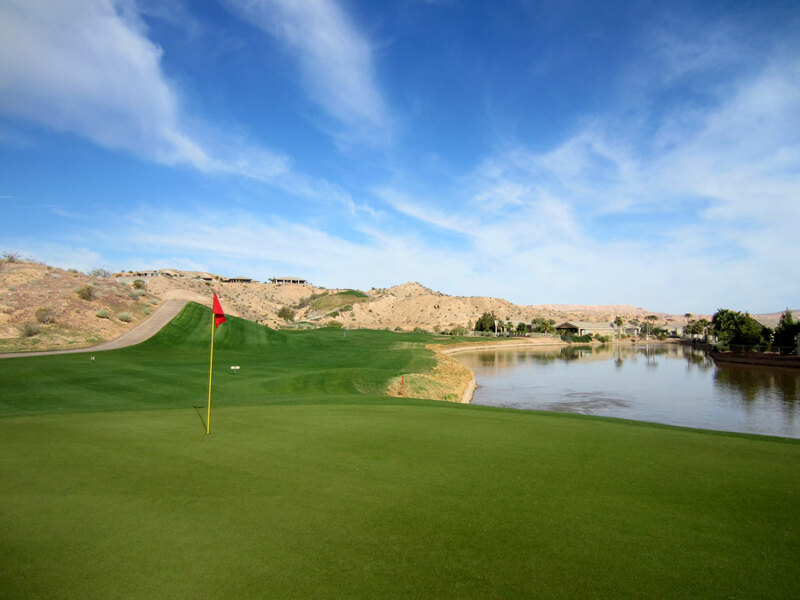 Best Par 4: 3rd Hole – 424 Yards – The 3rd hole actually feels like an Oasis in the desert when players descend to the green. The tee shot plays to a blind landing area before the fairway tumbles down to a greensite that is fronted by a pond while palm trees finish off the tropical setting. The approach shot to this right to left sloping green is one of the most demanding and rewarding on the course. 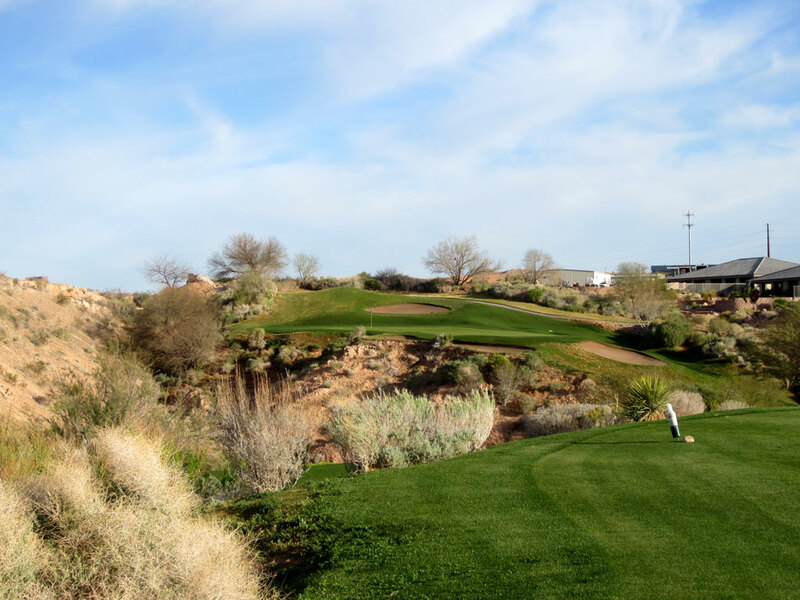 Best Par 5: 8th Hole – 524 Yards – With a tee shot remarkably similar to what you find on #5, the downhill 8th features another 100 foot drop from tee to green. The difference here though is on the approach shot where players are faced with hitting their ball onto a green that is completely fronted by water due to the pond hugging the right side of the fairway 200 yards and in. 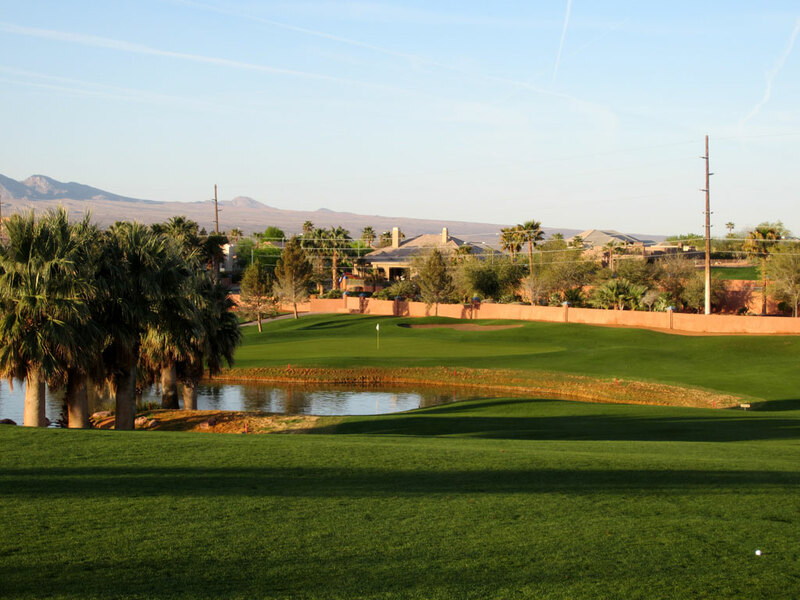 The dramatic tee shot combined with the demanding approach shot make this hole the most impressive offering at Oasis' Palmer course. Birdie Time: 10th Hole – 299 Yard Par 4 – Anytime you face a par four that is under 300 yards you should be licking your chops at a chance to card a birdie. This short two-shotter plays uphill with a slight turn left and is driveable if you are sporting a tail wind. Players laying up off the tee will face an approach shot to a shallow, but wide, green that is fronted on the right side by a bunker. With a wedge in your hand this is a great chance to stick your approach shot tight and roll in a birdie. Bogey Beware: 11th Hole – 444 Yard Par 4 – You'll face another elevated tee shot on the 11th where trouble frames both sides of the fairway. On the right, bunkering awaits while on the left a large pond glares back at the tee box. The hang time off the tee box leads to more time for a ball to tail off line, so accuracy is especially important here. The water runs up the left side of the green and continues to be a factor to contend with on the course and in your head. This is the longest and most demanding par four on the course and a par here is a stout accomplishment.